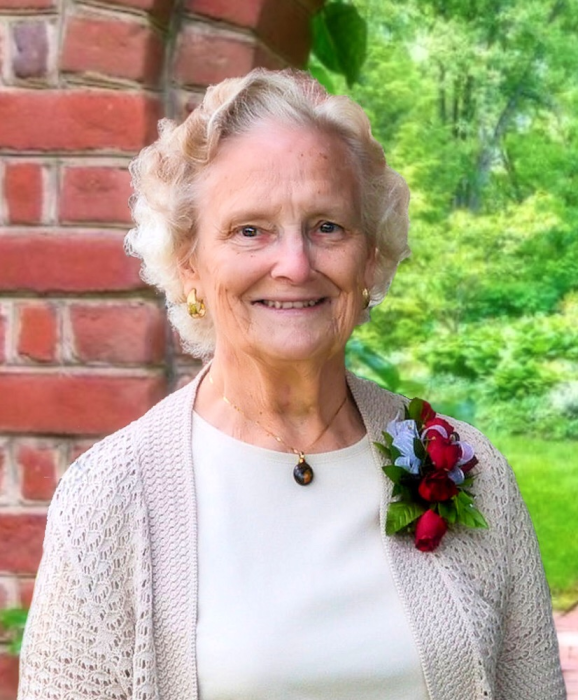 OTTAWA - Angela Meyers, 84, of Ottawa died at 2:19 a.m. Friday, August 31, 2018 at home under Hospice care. She was born in 1934 to Frank and Loretta Wrasman in Landeck, Ohio. When Landeck church was hit by a tornado on March 19, 1948 Angela was inside the church and survived. She attended and graduated from Delphos St. John’s High School in 1952. Shortly thereafter she married William "Bill" Meyers who survives. They would have been married 65 years this October. Also surviving are 7 children: Larry (Caroline) Meyers, Tina (Steve) German, Monica (Mark) Hemingway, Carol Meyers, Nancy Hovest, Rose (Hal) Mandly, and Lisa (Tom) Tijerina; 16 grandchildren; 10 great grandchildren; a 2 brothers, Paul (Marian) Wrasman and Kenneth (Joanne) Wrasman She was also preceded in death by a grandson, Ben Hovest; a brother, Alfred Wrasman; and 3 sisters, Delores Buettner, Monica Wrasman, and Rita Wrasman. Angie worked at Sylvania/Philips for 24 years. She was a member of Saints Peter and Paul Catholic Church, Ottawa. Angie enjoyed family vacations and later became quite the traveler to numerous out of country destinations. She cheered her husband across many finish lines at 5K races. In later years she could frequently be found attending water aerobics at the YMCA in Ottawa and then McDonalds for a chicken sandwich lunch. Angie was always kind and considerate, wearing her smile beautifully. She was a loving wife, tender-hearted mother, fun grandmother, thoughtful great-grandmother, a sister, aunt, and great-aunt to many. Memorial contributions may be made to Putnam County Homecare and Hospice or Saints Peter and Paul Catholic Church. Visitation will be at LOVE FUNERAL HOME in Ottawa on Monday, September 3, 2018 from 2 to 8 p.m. with and a Scripture Service at 7:50 p.m. Funeral mass will be at Saints Peter and Paul Catholic Church on Tuesday, September 4, 2018 at 10:30 a.m. with Fr. Rick Friebel officiating. Burial will follow in the church cemetery.